It is not entirely clear in retrospect whether psychiatrists during World War Two actually believed there were no long lasting psychological reactions – what we would call PTSD today – or that they were reinforcing the warrior myth by allowing everyone to be a hero. Conveniently, the also meant the army would not have to pay pensions for returning soldiers with short term battle fatigue. Before the 1950s, there was really no widely accepted way to use psychiatric terms. The first diagnostic manual for psychiatry was published in 1952 and was influenced by the notions of battle fatigue in the recent World War Two conflict. 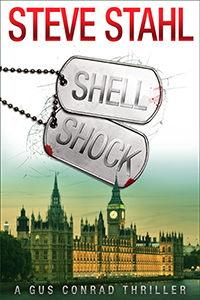 The manual stated that soldiers could suffer psychological damages due to war, and included the category of ‘gross stress reaction.’ Not shell shock, not battle fatigue, but gross stress reaction. The diagnosis of gross stress reaction at the time was described as a temporary condition caused by exceptionally stressful situations such as war. Right after World War Two, behavioral problems due to war were conceived as normal reactions to abnormal events that would go away once the war or catastrophe ended. That fit the prevailing view that psychological reactions to war invariably went away, since the number of psychiatric casualties apparently decreased greatly once hostilities stopped. Incredible perhaps now in retrospect, psychiatrists and military commanders just after World War Two claimed that they were able to return to active duty almost every soldier who had suffered a breakdown in that war. It was not until much later that it became apparent to everyone just how wrong this was.